Comparing the packaging to the Too Cool For School lip crayon that I've reviewed recently, this one feels higher quality. Especially the cap, the Too Cool For School cap was clear and already has cracks in it. 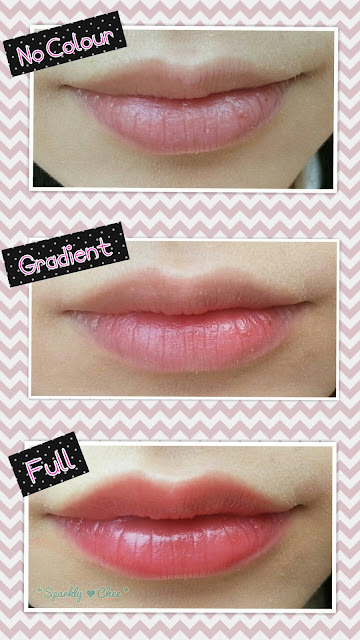 -Dial type of lip pencil that you can use just turning around. 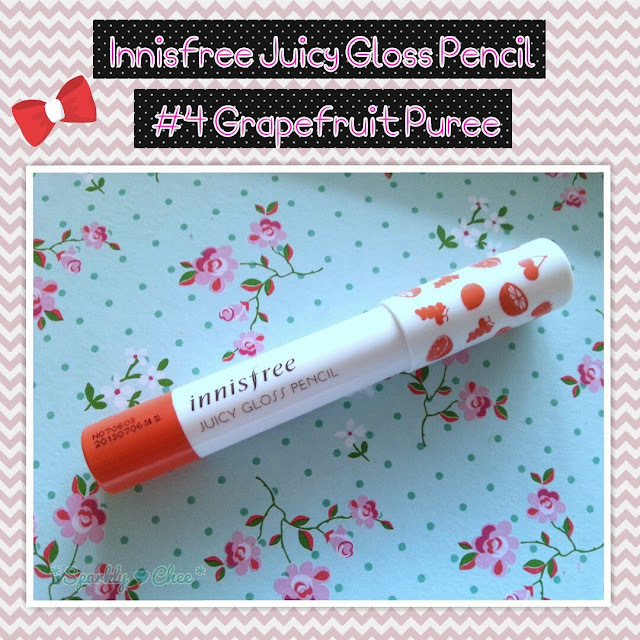 -Melts into lips smoothly and leaves refreshing and light touch. -Delicate colour and scent make you feel happy. -Contains moisture to create healthy skin. The tip and the amount of product. The colours is a bit cool here, in real life it's warmer, more like the swatches below. The colour is very pigmented, and I only need one application to achieve this colour. The texture of this lip crayon is very smooth, and like it claimed, it glides on the lips very well without any pulling or tugging. This also makes my lips feel moisturized, and I do not feel like I need to use lip balm afterwards. 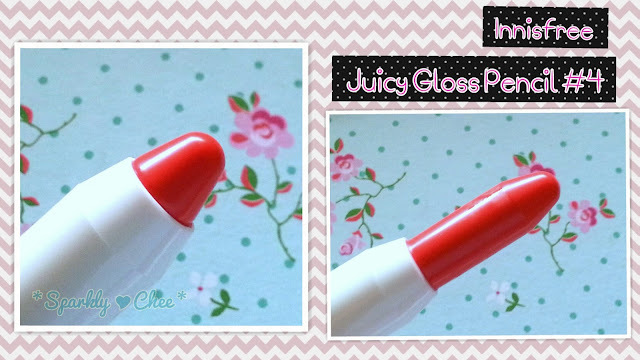 The formula is not too sticky, and has a glossy finish to it. Similar to the Too Cool For School lip crayon, the bottom can be twisted for more product, so no sharping is necessary. 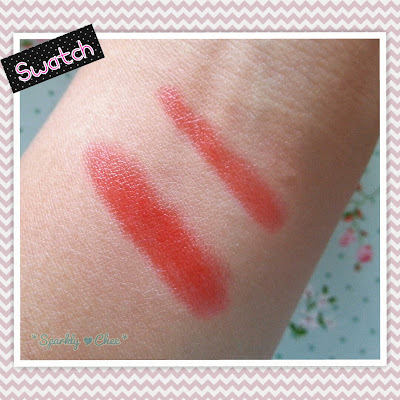 The colour I have is #4 Grapefruit, it's a red/orange colour, and I just love how pigmented it is! The colour on the lips is exactly as the colour in the tube, I usually don't wear very bold colours, but I love this colour so much. I really like how it has an orange tone to it, making it a more energetic colour. It's also easy to control the amount you want for a sheer or bold colour. Like in the picture above, I usually wear it as a slight gradient, so it's just a tint of colour. This is another reason I love this lip crayon. This last a long time, with minimal eating/drinking, this can last around 6 hours on me. I think that's pretty long, since a lot my lip tints only last 3-4 hours. But even if this wears off, it leaves a very natural stain, and the colour is just a subtle matte version of the original, very pretty as well. The moisturization is great too, I did not feel my lips getting too dry or flaky during the time I had this on, but I would still recommend to exfoliate and use a lip balm underneath if you have dry lips. The scent like it described, is a sweet citrus type scent, I really like it, but it doesn't smell particularly like grapefruits. :P However, I do not taste any citrus or any flavor. If you are interested in this product, you can find it here for $9.98, on cosmetic.jolse.com! Have you tried this, or want to? I really want to try this in the colour Cherry! And comparing this to the Too Cool For School Dinoplatz lip crayon, I would definitely choose this one over that, any day! Ok, that's it for today. I'll try to update at least twice a week, hopefully. Awhhh these seem so nice! I really want to give them a try after seeing your review! This looks really pretty! Looks very nice on your lips! The shade looks really pretty on you! Gives a sweet look! i like the colour on your lips, moreover the finish is glossy which I prefer than the matte one. Looks very pretty on you. ^_^ Cute new picture format you've got going on, too. wow! i really really love how your lips look with the color on full!! im not kidding. its so beautiful! but i think u also just have really nice lips, lol. Lovely review!! :D It looks so pretty! Thanks ^^ I think it's so pretty too, the colour! This is worth a try for sure! Thanks for reading Gaeul! I actually take all my pictures and edit them on my phone OwO lol The app I used is called Aviary to edit, them the frames are from Photo Grid. :3 I think both are free apps. Ya I'm really loving it too! I just started trying them out recently, and this one is my favourite so far! You should definitely give this one a try Sonya. :D Thanks for reading! Ya I really love innisfree, expect that blackhead pore kit =A= *cough*. Hehe I though so too, when I first opened it, the tip looked plastic-y so I thought the colour is going to be faint too, but noo, I was so wrong! 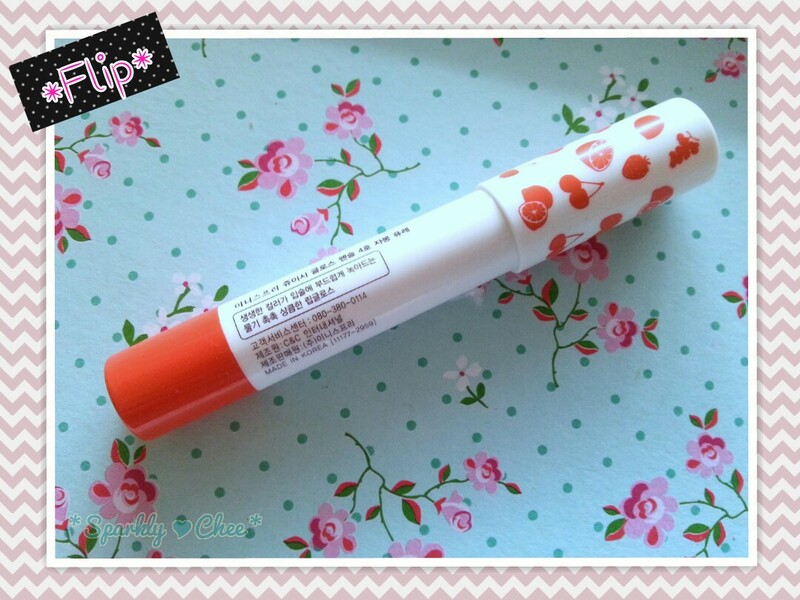 xD It is very pretty, the best lip penil I've tried so far. :) Thanks for reading!